California’s state government computers don’t talk to each other very well, which makes the annual budget process a costly, inefficient mess. And it doesn’t do much for the state’s accounting, procurement and cash management operations. So, five years into the new millennium the state decided to replace its so-called “system” with a real system and created the Financial Information System for California (FI$Cal). As of January 2011, the project was four years behind schedule, $300 million over budget, shedding key personnel daily and the victim of a Governor Schwarzenegger hiring freeze. It had also lost its original funding source. FI$Cal is trying to build a central nervous system that is connected to all its extremeties. It is a multi-year information technology project that is intended to provide the state with an integrated finance platform and replace the antiquated systems currently in use by state agencies. The project incorporates resources from the Department of Finance, the State Controller's Office, the State Treasurer's Office and the Department of General Services. Once implemented, a new Enterprise Resource Planning system would create a uniform method of financial management and reporting. The state’s Department of Finance, the lead agency, initiated a feasibility study in 2005 for replacing the system it uses to interact with other deparments and agencies (which it does through eight budget units). The study concluded that the state’s mainframe computer systems, which were initially installed in the 1970s, did not meet most modern financial reporting requirements because they were developed to support different areas of the budget process – not to function as an integrated system. As a result, most departments had a jury-rigged system of desktop computer spreadsheets, databases and accounting ledgers to supplement the aging computer systems. There was widespread redundancy, with a lack of integration among systems forcing data to be rekeyed into numerous applications. This increased the potential for errors and raised operating costs. The “work-arounds” created more work, impacted the department’s productivity and compromised its accuracy. The department proposed to “replace outmoded fiscal and budgeting systems and build better systems.” The new system would have an estimated one-time cost of $137.9 million over seven years and be deployed from January 2010 through July 2011. Shortly after completion of its feasibility study, the department contracted with a vendor to begin the first phase of development: listing and revision of the state’s chart of accounts. A chart of accounts (COA) is a listing of the various entities within an organization against which financial transactions are applied. Informatix, the vendor, delivered its final report in September 2006, recommending some revision and realignment of the accounts in preparation for the installation of a new computer system. In December 2006, the department approved a Special Project Report, creating the Financial Information System for California (FI$Cal). The cost of the project was put at $1.3 billion and estimated to take five years to complete once begun in 2008. FI$Cal is run by four agencies responsible for the state’s finances: the Department of Finance, the State Controller’s Office, the State Treasurer’s Office and the Department of General Services. Collectively they became known as the “Partner Agencies” and entered into a Memorandum of Understanding (MOU) signed by the Controller, the Treasurer, and the directors of the Departments of Finance and General Services. The MOU provided the framework for the project to move forward. The plan was presented to the Legislature in 2007, which asked for and received additional planning documents, which became Special Project Report 2. With input from the Legislative Analyst’s Office, the Legislature approved the project in April 2008. The next year, FI$Cal responded to concerns expressed by the Legislature and others, and engaged Grant Thornton, LLP, an expert in Enterprise Resource Planning systems, to prepare a plan for developing the large-scale project. The company delivered the final plan in August 2009 and the organization added new committees while it began to lay out guidelines for requests for proposals to allow vendors to bid on Stage 1 of the project, the fit-gap analysis. The fit-gap analysis planned to analyze the differences between existing off-the-shelf software that FI$Cal was looking at, and what the government’s actual needs were. FI$Cal’s primary mission is the development and implementation of an Enterprise Resource Planning system which would integrate budgeting, accounting, and procurement processes for the state, beginning with the four partner agencies: the Department of Finance, the State Controller’s Office , the State Treasurer’s Office and the Department of General Services. A steering committee sets the overall direction of the project, while a Project Director / Executive manages the day-to-day operations, assisted by administrative and legal staff. Direct management of the hardware, software and other technology issues are the domain of the Vendor Management Office, which deals with its contractors and the Project Management Office and Technology Teams. FI$Cal’s Customer Impact Committee represents the departments that are in line for system installation and advises the Steering Committee, which manages the overall project. The Change Management Office assists departments in making the transition to the new platform. As part of this process, the office conducts a series of forums to educate the departments about the project and how they will be affected by its installation. The agency is in the middle of this process. It has completed the preliminary work in evaluating the needs of the state’s agencies and is soliciting bids from companies to develop, install and maintain the system. Three vendors have participated in the “bake-off” competition and are preparing proposals to be submitted to FI$Cal by June 17, 2011, in keeping with its revised timeline. Once the hardware and software requirements are determined and suppliers are selected, the project is to be installed in waves, that is, a series of agencies at a time. The original cost of the FI$Cal system ranged as high as $1.6 billion in 2006, but was reduced to $616.8 million after a decision was made to move to a more phased implementation. The scope of the project remained the same but four proposed changes halved the expected costs. Project staff costs were reduced by $80 million when a shorter timeline was approved. The staff projection was reduced from 499 positions to 304. Program/department staff costs were also also reduced by $260 million, primary vendor costs were cut by $170 million and data center expenses were hacked $280 million. In April 2012, a report by the Legislative Analyst’s Office (LAO) warned that financing for the project was still uncertain and that decisions would have to be made between using a pay-as-you-go system, a vendor financing approach or a bond financing path. The LAO also warned the Legislature that 2012-13 was scheduled to mark a ramping up of expenditures and recommended that $89 million be budgeted for the fiscal year. The project timeline showed expenditures of $84.6 million in 2013-14, $101.9 million in 2014-15, $130 million in 2015-16, $84.2 million in 2016-17 and $32.5 million in the final year. The state General Fund would be on the hook for more than half the budget. Although the LAO acknowledged that the economic downturn and large budget deficit made the project problematic, it recommended that the Legislature move ahead. “We believe that the benefits of proceeding with FI$Cal development outweigh the costs of the project,” its reports said. In October 2009, State Auditor Elaine M. Howle spotlighted two areas of concern in FI$Cal’s operations. In a letter to Governor Arnold Schwarzenegger, the President Pro Tempore of the Senate and the Speaker of the Assembly, Howle noted that the Office of the State’s Chief Information Officer was planning to supervise the project, providing the required IPO, or independent project oversight. However, the state’s chief information officer was previously granted a seat on FI$Cal’s steering committee, linking the two departments. Eventually, everyone took the auditor’s advice and hired someone to do independent project oversight. Governor Schwarzenegger, responding to the nation’s economic downturn and California’s own budgetary problems, ordered a hiring freeze throughout state government in December 2008. The on-again, off-again freeze (re-animated in 2011 by Governor Jerry Brown) contributed mightily to a hiring crisis for FI$Cal. In its April 2011 monthly report, FI$Cal noted that 31 “critical” positions were unfilled of the 165 budgeted positions. “The Project is also experiencing significant turnover that is further complicated by the hiring restrictions,” the report said. FI$Cal lost its project director, a deputy director and the project executive at the end of 2010. When the project was first conceived, FI$Cal was authorized to sell bonds to finance its long-term needs. However, the law prohibits the use of bonds to fund a budget deficit and it was determined that the state’s financial crisis precluded FI$Cal from relying on them as a financial source for a lengthy period of time. FI$Cal advised the state Auditor’s office that it was exploring the possibility of loans from vendors and grants or loans from the federal government to continue its operations, and produced a White Paper detailing the several possibilities. The project received $15.8 million from General Fund in 2010-11 and was scheduled for a 33% bump for 2011-12. And it currently taps special funds for a large chunk of its operating budget. The administration has suggested that in lieu of bond money, the project should tap into special funds earlier than expected. The Legislative Analyst pointed out that the state would be obligated to pay off any outstanding loans or obligations out of the General Fund if the project were halted. It’s called the Ghost of Oracle, and it haunts Sacramento a decade after the spectre of technological incompetence enveloped state government. In 2001, the Department of Information Technology awarded a no-bid, six-year, $95 million contract that would have locked state agencies into buying software from one company, Oracle. It was scrapped after the state Auditor concluded the contract was over-priced and ill-conceived. Questions were also raised about Oracle campaign contributions to Governor Gray Davis and payments by Oracle to the General Services director. It became a full-blown media scandal followed by legislative hearings and embarrassing resignations. Within a year, the state Information Technology department was shut down although as of 2009 Oracle was still supplying state government with $20 million worth of software. So it wasn’t surprising that the Legislature expressed great trepidation at embarking upon the $1.3 billion FI$Cal enterprise project in 2005 and that problems in 2011 generated discussion of fixing it up or shutting it down. Critics of FI$Cal say it’s too costly and the state is incapable of managing a project this large. They site numerous technological missteps in the past, governmental dysfunction in the here and now and a huge state budget deficit. TechLeader.TV, the internet and public access cable show which focuses on government technology issues, responded to a plea from Governor Jerry Brown for a list of “Top 10 Actions” California could take to cut government waste and increase efficiency. The website/TV show founder John Thomas Flynn proposed, among other things, shutting down the FI$Cal project. 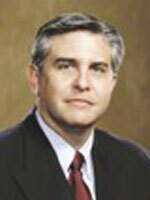 Flynn was California’s Chief Information Officer from 1995 to 1999. Although he styles himself a great proponent of a new robust financial system for the state, Flynn said FI$Cal is not that program. The independent Office of the Legislative Analyst, in a 2009-10 budget analysis, didn’t recommend the project be shut down, but did propose that it be merged with the 21st Century Project, another troubled technology mega-venture aimed at payroll operations. It also called for a project hiatus while the state gets its act together. In a May 2010 report the Legislative Analyst expanded on the notion of halting or delaying the project. In 2008 the Little Hoover Commission, an independent state agency that studies various issues for the Legislature, was critical of the project but suggested a less drastic plan of action. The main problem, the commission report said, is having four agencies share responsibility for running the project. It recommended consolidating various technology and project-planning agencies under the Chief Information Officer (CIO), beefing up his authority and putting him in charge of FI$Cal. The first two recommendations have already been put in place. The CIO was renamed the California Technology Agency, and given Cabinet status and the portfolio of tech-related agencies scattered throughout the executive branch. But the third recommendation goes unheeded. Only the second person to lead the FI$Cal project, Barbara Tayor assumed her position as project executive in January 2012 when Michael Reyna left government service. Taylor has a bachelor’s degree in business administration with a concentration in accounting from California State University, Sacramento. She worked for the state Department of Finance for nine years as a budget analyst, principal program budget analyst and assistant budget program manager before joining FI$Cal in 2009 and serving as the partner business executive for the Finance department. She was elevated to her current position after Michael Reyna left his leadership position and the job was split into project executive and project director positions. In her current role, Taylor will be the face of the project, acting as liaison to the Legislature, stakeholders and the public. She will also be the liaison between FIS$Cal and the four government entitiies that are partnering on the project—Department of Finance, the State Controller's Office, the State Treasurer's Office and the Department of General Services—while providing oversight and leadership of her team. Taura Armstrong is the project director. The first leader of FI$Cal, Michael Reyna was both project executive and project director of the troubled project when he started in 2010. Reyna described the former position as the face of the project and the latter as its engineer. He recommended that the post be split into two positions and it subsequently was. The Texas native holds a bachelor’s degree in business administration from the University of Texas, Austin and received a master’s degree in public policy in 1982 from the LBJ School of Public Affairs at the University of Texas. While attending graduate school in Texas during the early 1980s, Reyna served as a private consultant to Governor Bill Clements’ long-range strategic planning effort known as the Texas 2000 Project. He became involved in local government after moving to Sacramento and was a founding board member of Meadowview Community Action, a local nonprofit agency. Reyna served as a principal advisor to the California Legislature on financial service industry regulation and a wide range of issues, including housing, economic development, local government finance, and political reform. Reyna was appointed director of USDA Rural Development (then known as Farmers Home Administration) in California in 1993. Five years later, President Clinton appointed him to the Farm Credit Administration board of directors. He served concurrently on the Farm Credit System Insurance Corporation board and became its chairman in 1999. Reyna left the federal government and became the CEO in 2005 of the Consumer Attorneys of California, a professional association representing plaintiff attorneys, and stayed for three years. He took a position as California Library Association executive director in December 2009, but one and a half weeks later he received an offer he couldn’t refuse and became executive director of the newly created FI$Cal Project. He reportedly left FI$Cal for family reasons that are taking him out of state.